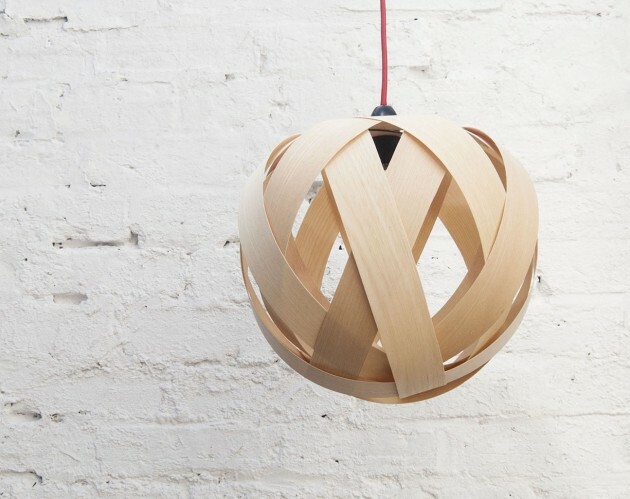 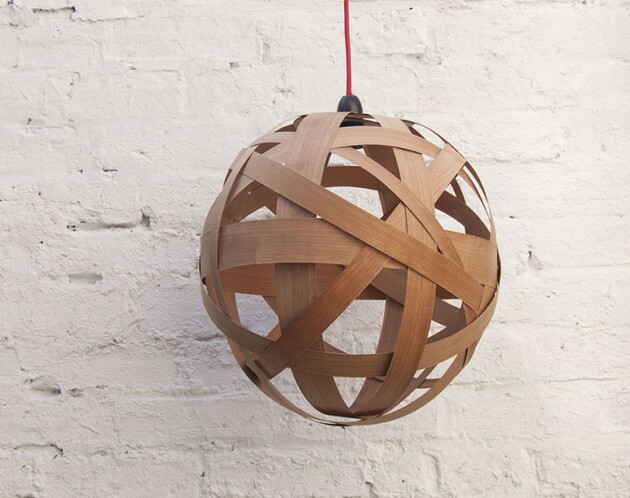 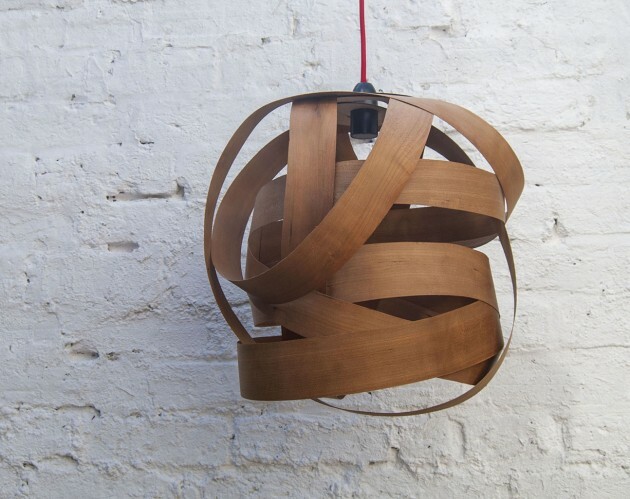 Handmade wood veneer pendant lamp shade, made from strips of high quality ash wood veneer in our workshop in Brighton, UK. 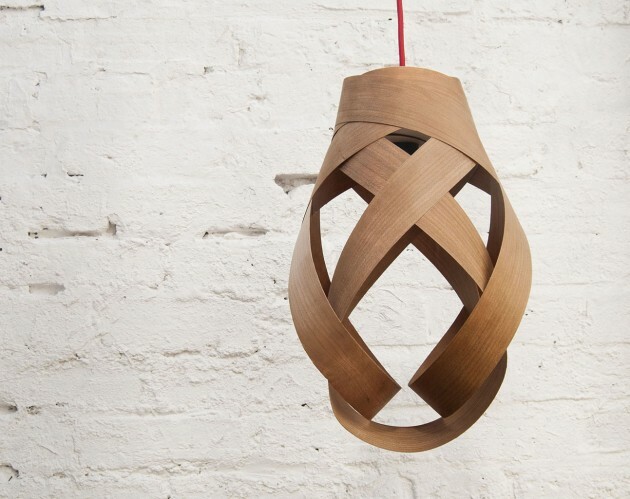 This medium size lampshade is designed to create a unique focal point for any room in your home, casting a beautiful warm soft light and shadows on walls and ceiling. 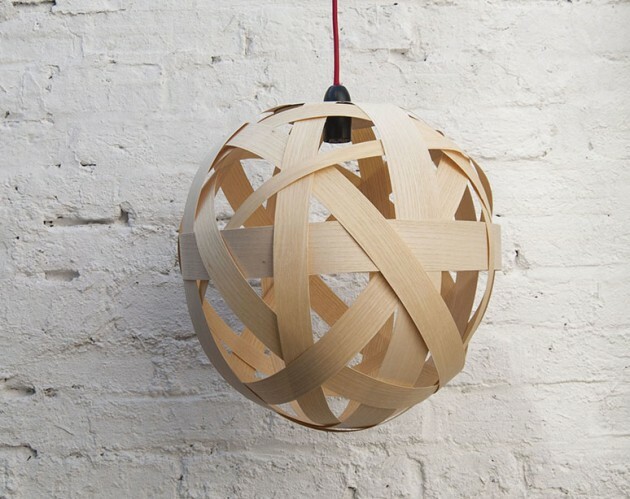 Does not include lamp fixture, lampshade only, but fits any standard 3cm diameter lamp holders with and easy “lift in” attachment.